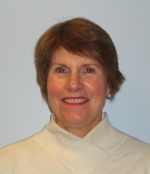 Ms. Witter joined the Board in early 2014, and was elected as the GVCSS Board Chair in September 2015. She has extensive experience with volunteer Boards in the community/non-profit sector including Vancouver YWCA, United Way of the Fraser Valley, Abbotsford Community Services and MOSAIC, and is past Board Chair of the Elizabeth Fry Society of Greater Vancouver. Now retired, her professional background includes over 30 years in the BC public post secondary system where she held a number of leadership positions with BC Colleges and University Colleges including Vancouver Community College, Kwantlen University College and University College of the Fraser Valley. She was also President of Douglas College from 1997 until her retirement in 2010. 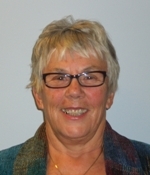 Ms. Witter remains involved with the educational community and has since worked on the Degree Quality Assessment Board, and Chaired Accreditation Teams with the Private Career Training Institution Agency of BC. She is currently on the Employment and Assistance Appeal Tribunal for the Province of BC. Ms. Witter’s educational background includes a Bachelor of Recreation Education, and a Master of Education Degree from the University of British Columbia. Other educational accomplishments include a Conflict Resolution Certificate from the Justice Institute of BC and courses in Administrative Tribunal Decision Making from the Government of BC and Douglas College’s Legal Council. Ms. West returned to the GVCSS Board of Directors following her re-election in September 2016. Ms. West previously served on the GVCSS Board from 2010 to 2015, and was the Board Vice Chair and the Society's Fund Development Committee Chair from 2011 to 2015. Ms. West has over 30 years of diverse leadership experience specializing in project management, marketing and communications, customer care and human resources. She worked with the 2010 Vancouver Organizing Committee (VANOC) for the Olympic and Paralympic Games from 2005 to 2011 as the Program Director of Project and Information Management. In 2010 Ms. West launched 2020 Consulting Services, where she provides a wide variety of consulting and project management services to a diverse group of global clients in the energy and health care sectors. Prior to VANOC she worked with Accenture and BC Hydro managing key customer service initiatives and also held various Human Resources Management positions with BC Hydro. Ms. West graduated in 1983 from McMaster University with a Bachelor of Commerce Degree. As the parent of autistic young adult twins, she has first-hand experience dealing with the opportunities and challenges people with disabilities encounter. Dr. Bryce has served on the GVCSS Board of Directors since 2007. Now retired from medical practice, Dr. Bryce’s medical background includes a specialty in Otolaryngology. Dr Bryce is currently a clinical Associate Professor with the Department of Surgery, Faculty of Medicine, at the University of British Columbia. He is an active volunteer in the community, dedicating much of his volunteer work to hearing healthcare advocacy. He is a Board member of the Western Institute of the Deaf and society president of the Hard of Hearing and BC Family Hearing Resource Society. He is also a member of the steering committee, BC Early Hearing Program (Province-wide newborn hearing screening and intervention). Dr. Bryce studied Biochemistry at the University of British Columbia before graduating with an MD Degree from the school of Medicine at the University of Toronto. He holds a Clinical Fellowship in Neurotology from the University of Toronto and was a Fellow in Otology and Neurotology at the Baptist Medical Center at the University of Oklahoma. Dr. Bryce practiced at several Lower Mainland Hospitals and was Director, Division of Otolaryngology at St. Paul’s Hospital. His career also includes both undergraduate and postgraduate teaching positions in medicine, including the University of BC, Royal Columbian Hospital and St. Mary’s Hospital in New Westminster. Samson Chan joined the GVCSS Board in 2018. His substantial professional and community undertakings reflect both his background in law and his health science education. Mr. Chan's employment in the legal profession has taken him to Hong Kong and to Vancouver where he currently practices law at Singleton Reynolds LLP, a Vancouver law firm. His past community involvement includes Legal Clinic Head at the UBC Law Students and Legal Advice Program, and Co-President at UBC Asia Pacific Law Club. He is currently a Board Director at the Federation of Asian Canadian Lawyers BC and has been involved with the St. John Ambulance in Vancouver as a Medical Responder and Community Service Coordinator since 2003. Prior to his legal work, Mr. Chan held various analytic and public health research positions at BC Centre of Disease Control. Mr. Chan holds a Bachelor of Science degree and a Master of Public Health from the University of BC. He attended the Law exchange program at the University of Hong Kong, and holds a Juris Doctor degree from the University of British Columbia, Peter A. Allard School of Law. Elected to the GVCSS Board of Directors in August 2016, Mr. Sumner's professional background spans a multi-faceted financial career in the private, educational and government sectors, including an extensive career at the University of British Columbia from 1985 to 2008 where he was employed as the Director of Financial Services and later as the Vice President of Administration and Finance. He is a member of the Board of Directors of PACE, an early intervention and educational centre for children and families. More recently he served as a member of the Dr. Peter Aids Foundation Finance and Audit Committee, and as Chair of the Board of Directors of SunCentral Inc., a start-up company and innovator in the lighting industry. His broad finance background has also been an asset to various Boards both in the community and economic sectors. Previous Board memberships include service with BC Pets and Friends, UBC Investment Management Trust, UBC Properties Trust Inc., and the Canadian Association of University Business Officers. He has also served as Treasurer on various Foundations. Mr. Sumner is a Chartered Professional Accountant (CPA, CA) and he holds a Bachelor of Arts in Economics from Simon Fraser University and a Licentiate in Accounting from the University of British Columbia. Sarah Bell was elected to the GVCSS Board in June 2017. Ms. Bell brings a wealth of leadership experience in the health care field both professionally and as a volunteer. Her extensive leadership background extends through various facets of the health care system. She has had multiple leadership positions at BC Children's Hospital, and since 2014 has been in the role of Provincial Executive Director of the Mental Health Program. In early 2017 she took on the role of Interim Chief Operating Officer while maintaining some of her responsibilities for the Mental Health portfolio. Ms. Bell's keen interest in leadership is reflected in her professional and volunteer activities which include Alumni Coach at the Sauder School of Business for the Physician Leadership Program, and mentor for the Canadian College of Health Leaders' Healthcare Mentorship program. She holds a Bachelor of Arts from the University of Western Ontario, a Diploma of General Nursing from the British Columbia Institute of Technology, and an Executive Masers in Business Administration from the Sauder School of Business, University of BC. Mr. McHugh was elected to the GVCSS Board of Directors in September 2014. An outdoors and sports enthusiast, he has directed his energies into volunteer work with sports organizations that support those with disabilities. His volunteer background includes work with the Disability Ski Association, Vancouver Adaptive Snow Sports and West Vancouver Soccer Association as an assistant coach. He also has a keen interest in medical and health therapies for those with autism. Mr. McHugh's professional background is primarily in the mechanical contracting industry. Early in his career, his entrepreneurial spirit led him to establish his own mechanical contracting company for multi-residential, commercial and institutional construction. He later worked in the inspections division for the City of Vancouver until 2013. Sandra Micheals joined the GVCSS Board in early 2018. Ms. Micheals' career includes a focus in vocational rehabilitation and significant experience in the areas of mediation, negotiation and administration in various capacities with government and community organizations. Now retired, Ms. Micheals had an extensive career with WorkSafe BC where she was responsible for complex cases covering the medical management and return to work of seriously injured workers. Ms. Micheals' education and volunteer work reflects her strong interest in medical and psychological aspects of rehabilitation. 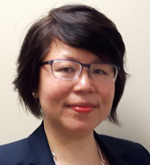 Her volunteer background includes Board Director and Chair of the Elizabeth Fry Society of Greater Vancouver, Community Health Committee member with the Vancouver Richmond Health Board, Three Bridges Health Centre and The Canadian Association of Rehabilitation Professionals. She holds a Diploma in Public Administration from the University of Victoria, a Post Baccalaureate Diploma in Ethnic Relations from Simon Fraser University, held an Accredited Canadian Rehabilitation Professional Certification throughout much of her career and trained in Conflict Resolution at the Justice Institute of BC. Effie Pow was elected to the GVCSS Board in March 2017. Her volunteer background includes multiple roles with the Pacific Immigrant Resources Society including participation on their Fund Development Committee and as an advisor for their newsletter and social media platforms. She has also combined her volunteer interests with her passion for community, arts and culture by volunteering at various Vancouver events. Ms. Pow’s professional background includes a focus in communications and marketing in print and digital media. Her work experience includes projects in Canada, China and the Netherlands. Her broad experience encompasses the service industry, education, corporate and the non-profit sectors. She is a past recipient of the Teamwork Award at the Consulate General of Canada in Shanghai. More recently, in 2015 Ms. Pow established a consulting business in Vancouver with a focus in marketing and communications strategy and marketing management. Ms. Pow holds a Bachelor of Arts degree from UBC in Asian studies and a BCIT Associate Certificate in Marketing Communications. Elected to the GVCSS Board in 2015, Ms. Ready brings with her a strong background in the management, leadership and finance areas in the public sector. Her educational qualifications include a Certified Management Accountant (CMA) designation, Master of Public Administration (MPA), and Diploma in Public Sector Management. She holds both General and Intermediate Certificates in Municipal Management in the province of BC. She has also completed the Chartered Director Program for corporate board education, a joint venture of the Conference Board of Canada and McMaster University. During her professional career, Ms. Ready held a number of senior administrative positions throughout the public sector in British Columbia, and recently retired from the position of Vice President of Finance and Administration with Red River College in Winnipeg, Manitoba where she worked from 2011-2014. Ms. Ready's previous board experience includes member and Finance Chair at CityWest Telephone and Cable in Prince Rupert, BC, and member on the Advisory Board to the School of Public Administration at the University of Victoria. Ms. Tolmie joined the GVCSS Board in 2014. Her volunteer work with community non-profit Boards includes several years with the Greater Vancouver Family Services, with two years as Board Chair. She also served for five years as the Provincial Chair of UNICEF BC. During her professional career Ms. Tolmie worked in the BC School system as a teacher and school counselor. Though she has been retired as a teacher and counselor for several years, she has remained involved in the community through her volunteer work. Ms. Tolmie’s educational background includes a B.Ed from the University of Alberta and an M.Ed from the University of Oregon.